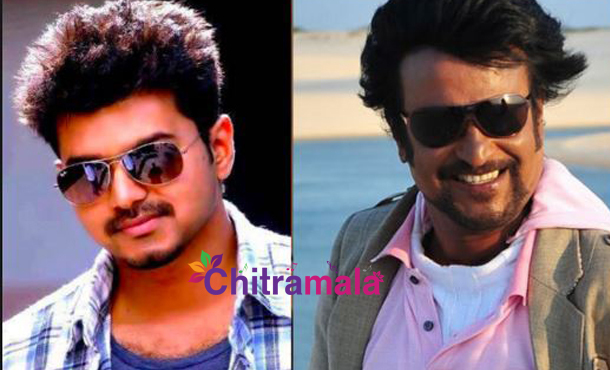 Two superstars of Tamil cinema, Rajinikanth and Vijay came forward to offer shelter for the victims of Tamil Nadu floods. Since many people have lost homes due to rains, Rajini and Vijay offered their respective Kalyana Mandapams as a temporary stay. Rajinikanth’s Raghavendra Kalyana Mandapam in Kodambakkam and Shoba Kalyana Mandapam in Saligramam of Vijay, have been offered by the two superstars for people. Rajnikanth has already donated Rs 10 Lakh for the relief of the victims. We have already reported that Tollywood stars have donated big amounts towards the relief works. Rajinikanth canceled the shooting of his forthcoming film Kabali and Vijay also canceled the shooting of Theri to help the flood victims of Tamilnadu people. Recently Vijay’s 59th film Theri first look posters released and it is said to be a actin revenge drama entertainer.